Professional CV Writing, Cover Letter and CV/Resume Review Services. and upon receipt of their order confirmation - and as a thank you - we will send you a FREE £20.00 Gift card of your choice. Alternatively, we will credit your PayPal account with £20.00. European Union - Europass CVs. 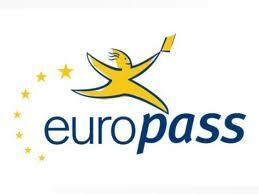 about our Europass CV Service. Recommend a friend and earn £20. New or existing clients; it's quick and easy to recommend a friend, colleague or associate to our CV writing portfolio. To initiate your referral, please complete the form below. Please ensure you indicate your choice of reward. Referrals and rewards are unlimited; the more referrals you make, the greater amount of rewards you will receive. We look forward to helping your friends, family and associates achieve success with their job-hunting endeavours. At the foot of this page we've listed a selection of the Gift Cards we provide, with links to each website included. Take a look and see what you could purchase using your reward. If you would like an alternative Gift Card other than those displayed, do let us know.